I’ve seen it throughout my career as a marketer and now as learning professional. There is a unrelenting pace of change that requires continual upgrading of skills.The modern workplace is a dynamic environment and it’s no longer acceptable to wait to be trained in order to be competitive. Rapidly changing technologies have forced organizations to recalibrate core business functions, and L&D is no different. A rise in automation and advancement in technologies has not only changed job descriptions, but it has created a need to up-skill and re-skill employees. According to McKinsey & Company , it is estimated that 375 million workers will have to switch occupational categories by 2030, making it increasingly important for L&D to prepare for the future of work. To effectively adapt to this change, L&D professionals must work to create a structure that embraces lifelong learning in the workforce. It’s become essential that L&D practitioners revisit their current strategies, and make changes that focus on learning as a strategic asset. Not only will this help facilitate a strong internal learning culture, but it will also help attract and retain workers who prioritize a modern workplace learning environment. What is a modern workplace learning culture? Today’s workplace embraces a culture that inspires continuous growth and learning. Due to disruptive technologies and the need to maintain competitiveness, modern workplaces are promoting a culture that empowers and motivates employees to acquire new skills that will help them develop into new roles. It also acknowledges the demands, intentions, and preferences of modern learners, and applies them to develop learning tools and experiences that enhance employee engagement and workplace efficiency. In short, a modern workplace culture puts the employee in charge of their own development. How do you facilitate transformation in L&D to create a modern learning culture? 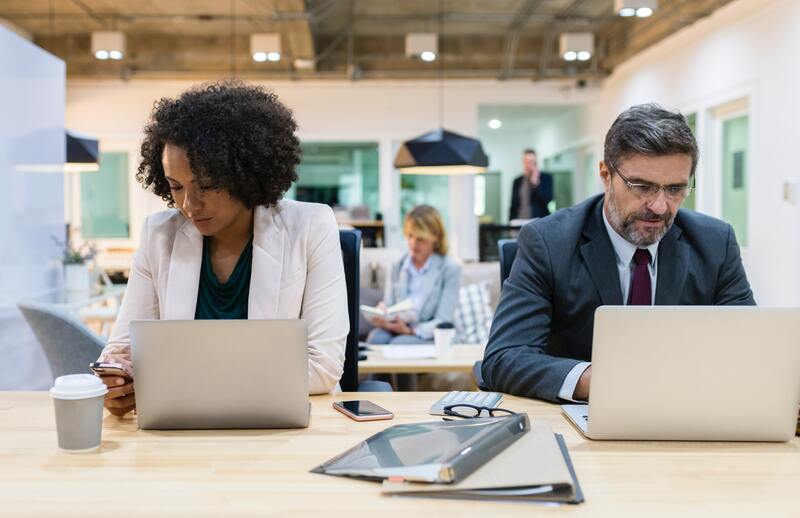 Creating a modern learning culture will not only ease adaption to change, but it can benefit the organization by improving overall employee performance. Before I become an independent L&D consultant, I worked as a VP for an organization where I helped implement a learning culture that focused on informal learning opportunities. Employees were encouraged to share knowledge amongst themselves, which led to less reliance on being “trained” and empowered the workforce to pursue knowledge informally. This supported a modern learning culture that eased our adaption to change, and benefitted the organization by improving overall employee performance. Moreover, a study by Bersin reconfirms a strong connection between a strong learning culture and higher employee engagement rates. After examining over two hundred clients in a span of two years, they discovered that companies that implemented a modern learning culture experienced 30-50% higher engagement rates. These organizations also enjoyed higher productivity levels and more likeliness to develop innovative products. In order to gain a similar advantage, companies today must allow L&D to adopt strategies that entice modern learners and promote a culture of continuous learning. There are many generations working collectively in the modern workforce and, moreover, each person has their own set of attitudes,learning requirements, and exposure to new technologies. The challenge for L&D is to cater to the individual needs of modern learners than want relevant, practical “training” tailored to them.. Instead of focusing on a one-size-fits-all approach, L&D teams should focus on creating flexible and autonomous learning experiences. This doesn’t mean creating resources in multiple formats – a task that is almost impossible – rather, to offer workers the autonomy to create their own learning experiences that suit their needs. This constructive approach will allow workers to develop skills that they deem most important, and is likely to motivate ongoing learning. We’re all wired to consume digital content now. As a result, L&D can focus on modalities that are familiar to modern workers and provide learning that is interactive, personalized, and flexible. And the continuing trend of self-paced online learning is still relevant as it empowers employees to access content whenever and however they want. For example, delivering personalized bite-sized eLearning content, relevant curated content, or interactive PDFs for performance support are more likely to offer as-needed learning than the traditional, formalized once a year classroom training. By offering learning content through digital channels and tools, L&D is more likely to engage and inspire modern learners for continuous growth. To build a strong learning culture, it’s important that employees are shown how important their work is to achieve organizational success. That’s why it’s important for L&D to align learning objectives with business objectives when introducing a new learning experience. This sounds obvious, but it’s scary how often training objectives are not directly supporting the business goals. Using a three-step approach – plan, achieve, measure – can help do so. To get started, it’s important to first identify key elements that will influence the success of a learning program. Then, use these factors to develop a timeline that helps L&D make the case for learning in the organization. Lastly, using both qualitative and quantitative methods to evaluate progress and initiate continuous improvement. By aligning business and L&D objectives together, both management and employees understand their contributions; and the role of L&D becomes evident in facilitating continuous learning in the modern workplace. According to LinkedIn, 69 percent of L&D professionals listed talent as the number one priority for their organizations. However, convincing the same talent to make time for L&D is a major challenge for them. So, how can L&D professionals promote continuous learning that encourages workers to actively seek personal growth? By making employees aware that they own their learning and development and it’s no longer necessary to wait for L&D to determine what training they need and when. Recently, I helped develop the “marketing campaign” as a part of a change management initiative at several large organizations to help the culture slowly adapt to the idea of employees owning their own learning. With this approach, organizations are likely to experience greater employee engagement with learning. The modern employee is ever more aware of their needs and what skills they must attain in order to excel personally and professionally. It’s important that L&D introduces methods that promote continuous learning and empower employees on a self-learning journey. This can be achieved by implementing strategies such as creating learning experiences for a multi-generational workforce, using digital content to deliver training, matching L&D objectives with business objectives, and empowering workers to own their learning and development experiences.